Fitness @ Five features an exclusive space where clients can work one-on-one or in small groups to achieve their fitness goals. 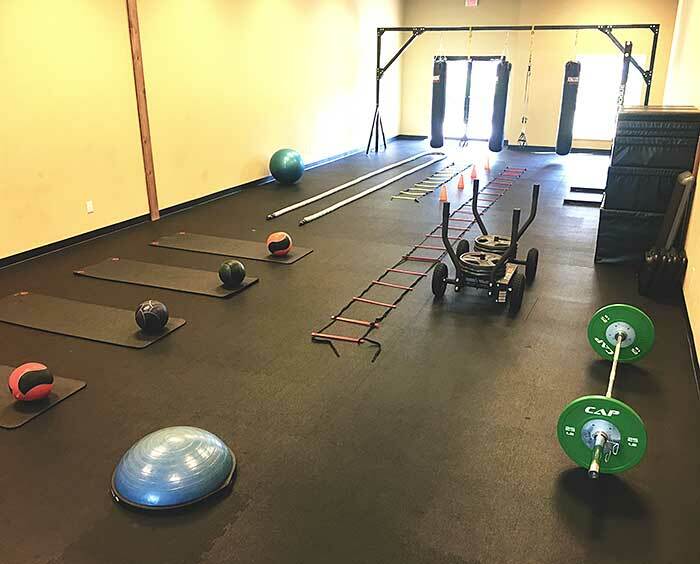 Located separate of the main fitness center, The Trainer's Space is equipped with functional training equipment, TRX stations, and much, MUCH more training equipment that you and one of our amazingly talented and knowledgable trainers will utilize to reach your fitness goals. To learn more and schedule your free consultation contact one of our Personal Trainers.